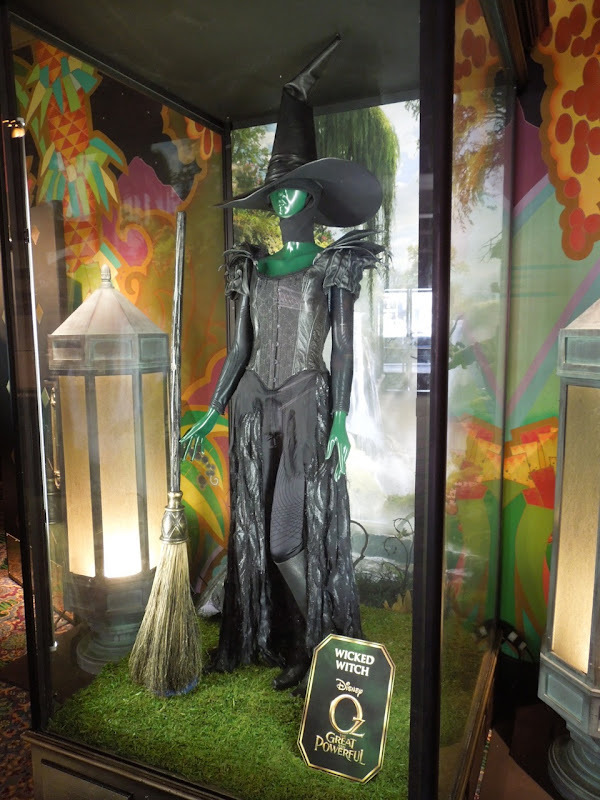 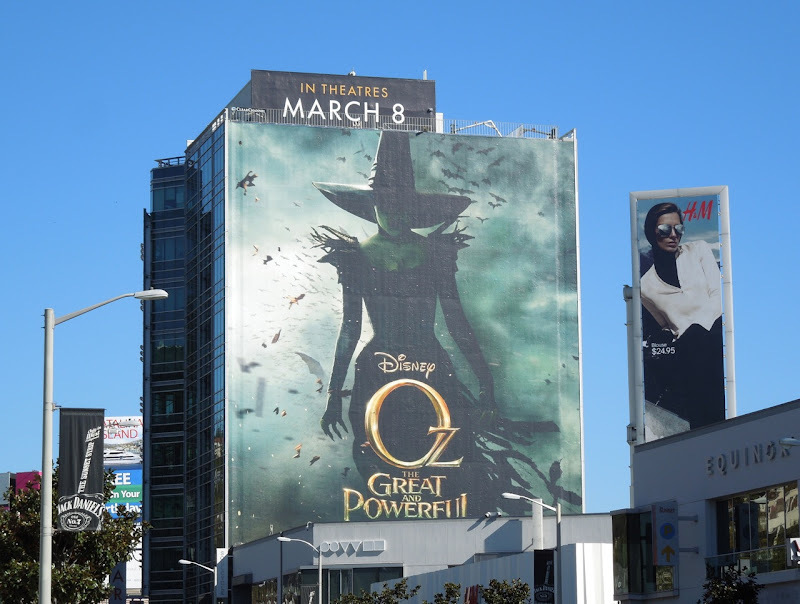 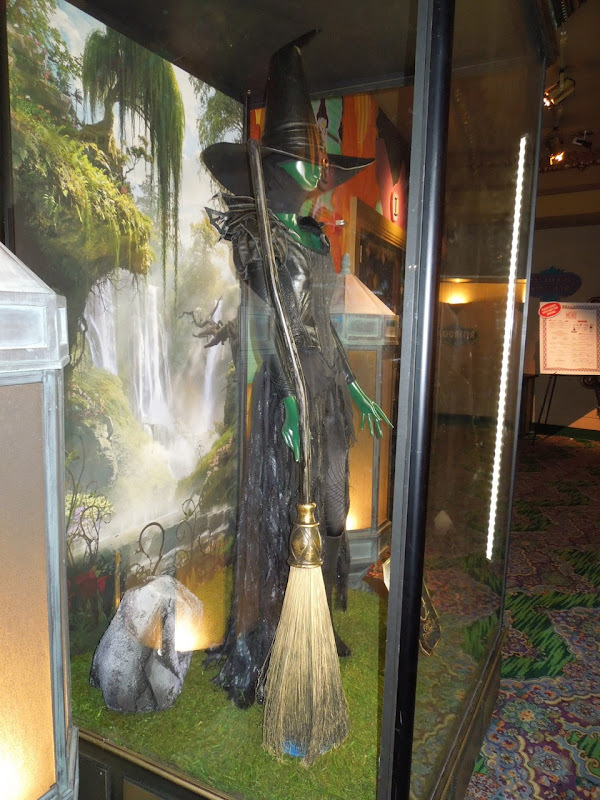 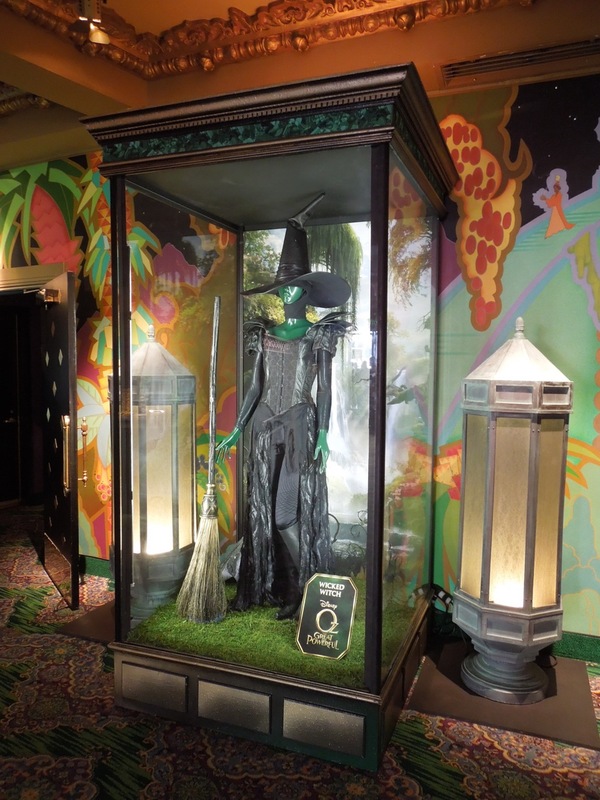 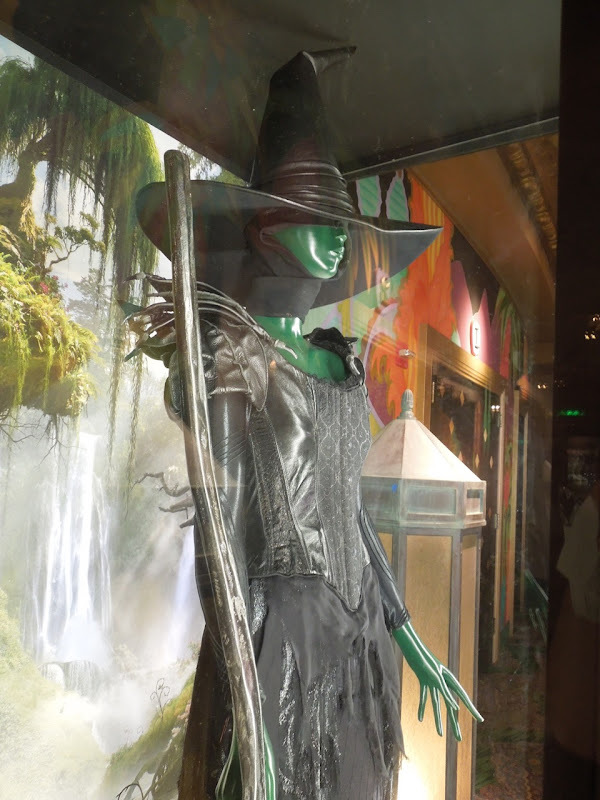 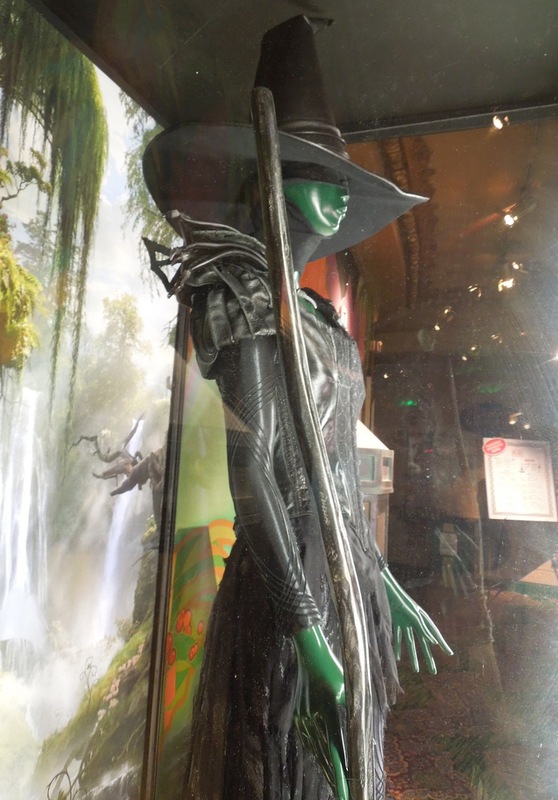 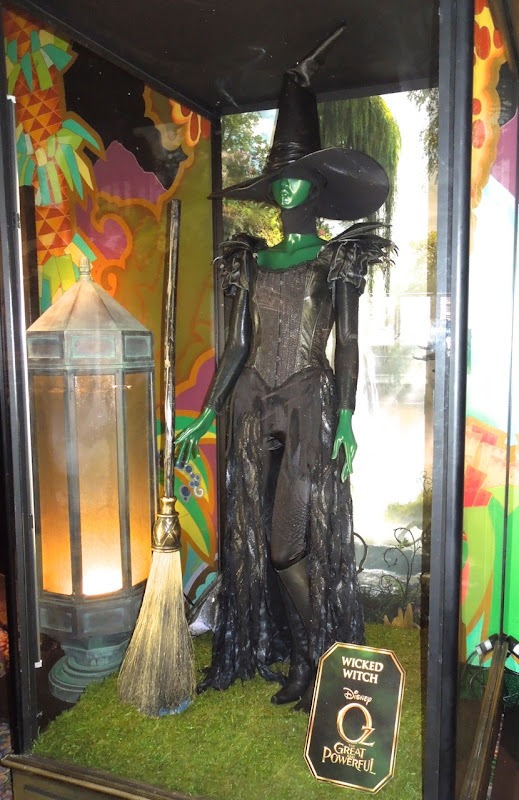 Not quite over the rainbow (but somewhere equally magical), at the El Capitan Theatre in Hollywood, you'll currently find a wonderful collection of original costumes and props from Disney's new Wizard of Oz prequel, including the 'Wicked Witch' costume worn by Mila Kunis in Oz The Great and Powerful. 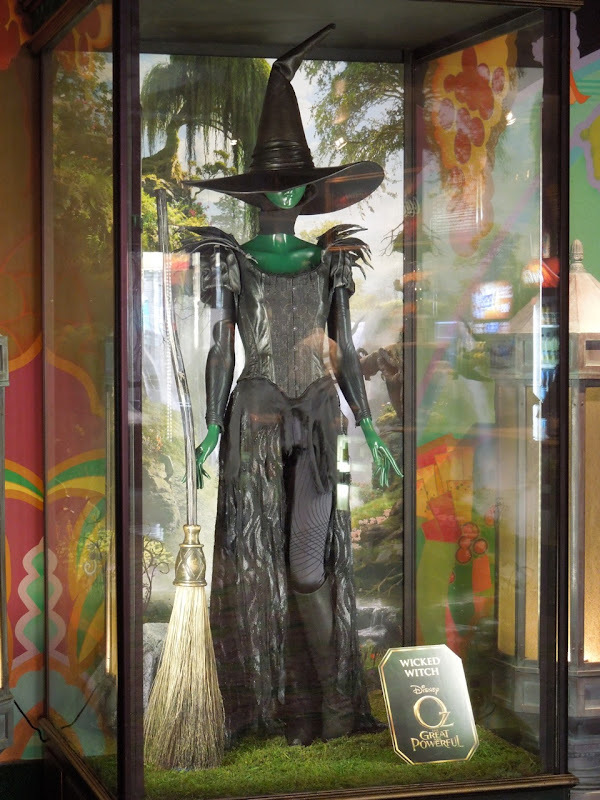 This leather and latex looking Wicked Witch costume was designed by Gary Jones from initial character illustrations by Michael Kutsche and was photographed on March 14, 2013. 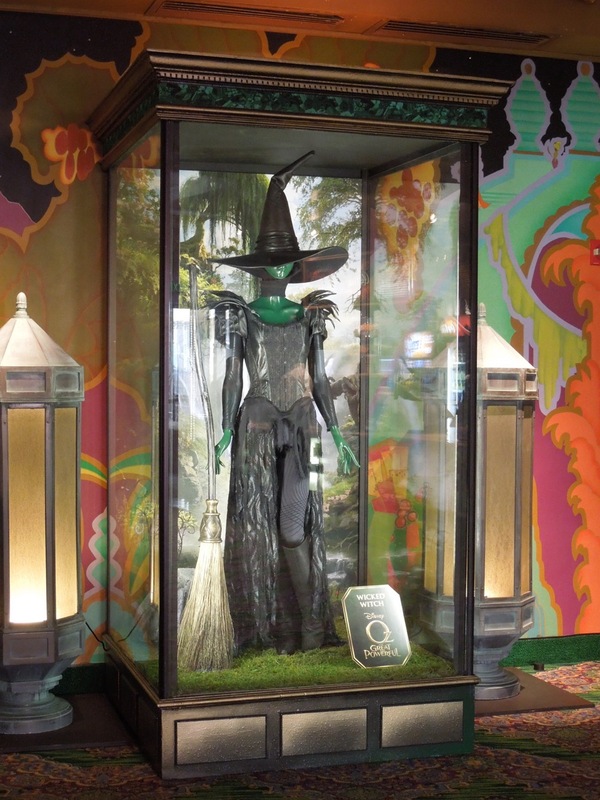 I always love how the Disney theatre displays the original costumes and props from its movies, especially going to the extra effort of an emerald green mannequin and even having faux green underfoot. 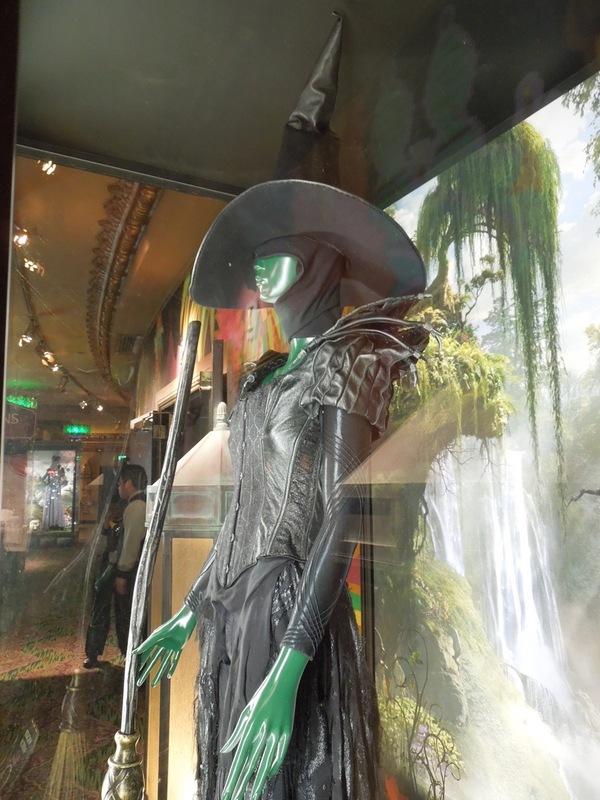 Mila Kunis wears this update on the iconic witch costume when she is spurned in love by James Franco's 'Oz' and tricked by her sister, 'Evanora' (Rachel Weisz), into becoming the Wicked Witch in appearance as well as name. 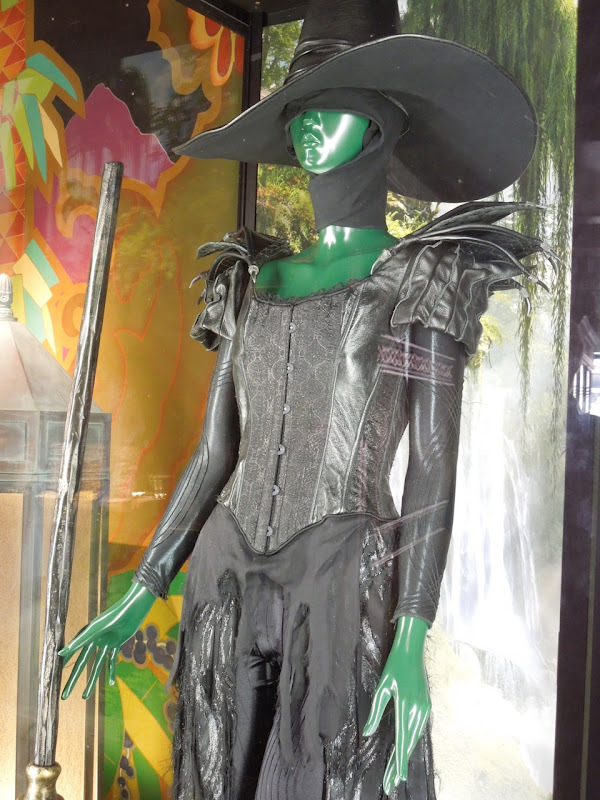 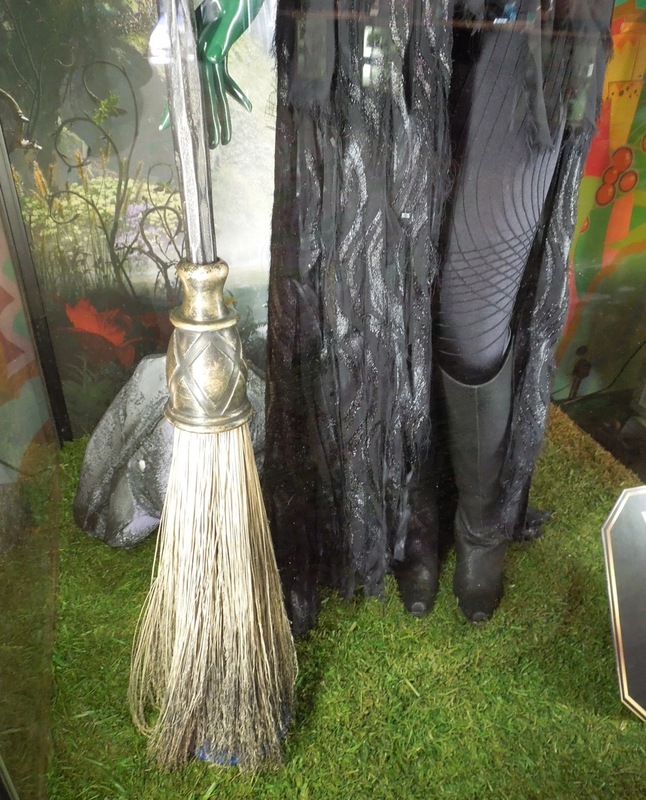 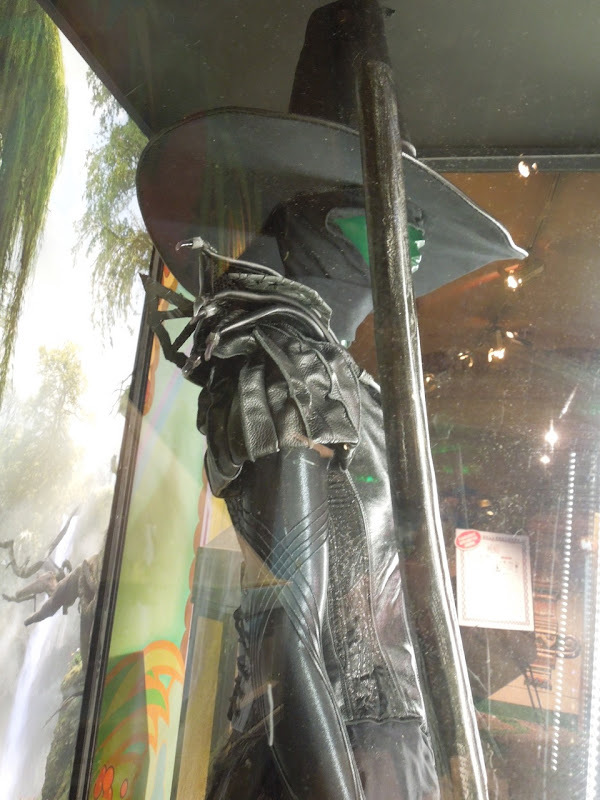 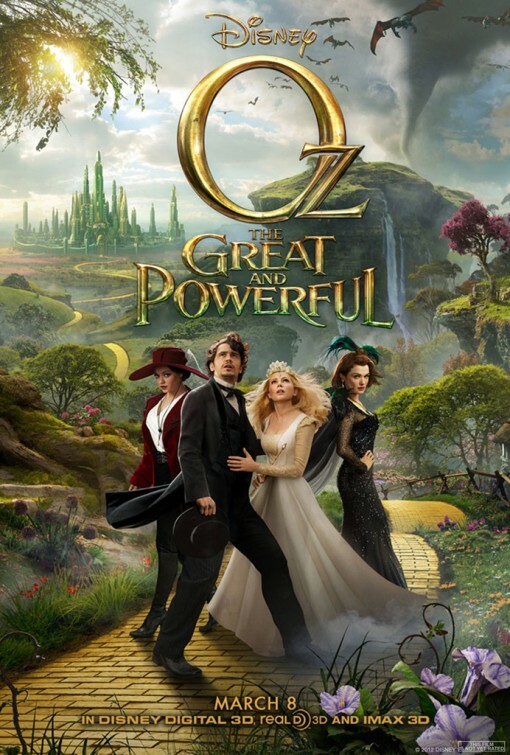 If you like this costume and broom prop, stick around in the days to come for more props from Disney's Oz prequel, plus costumes worn by Michelle Williams as Glinda the Good Witch of the South and Rachel Weisz as the scheming Evanora. 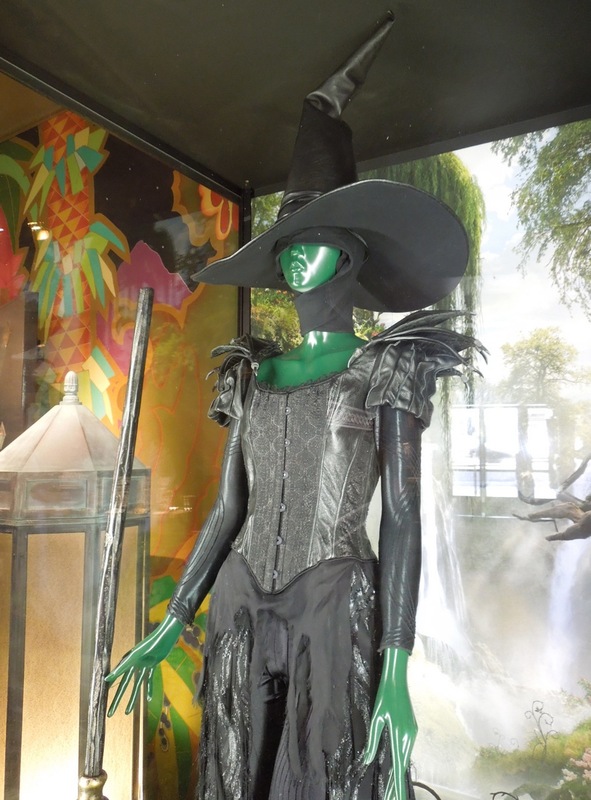 And if you're a fan of witches, be sure to check out these witch costumes from Hansel & Gretel: Witch Hunters and outfits worn by the Sanderson Sisters in Hocus Pocus.